There are shirts you wear to work and button down shirts you wear to the club by Axxess. Axxess specializes in fine cotton button down shirts that are made in Turkey with that modern fit no tuck in style that is the only style to wear to the club. 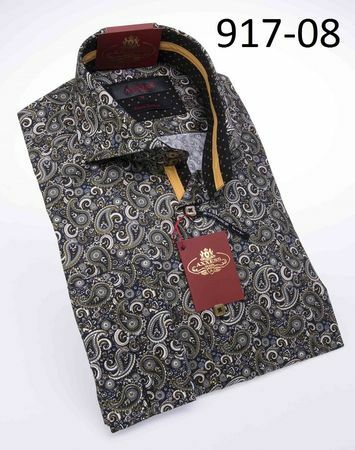 This green paisley pattern button down shirt features that no tuck in style that just looks great.